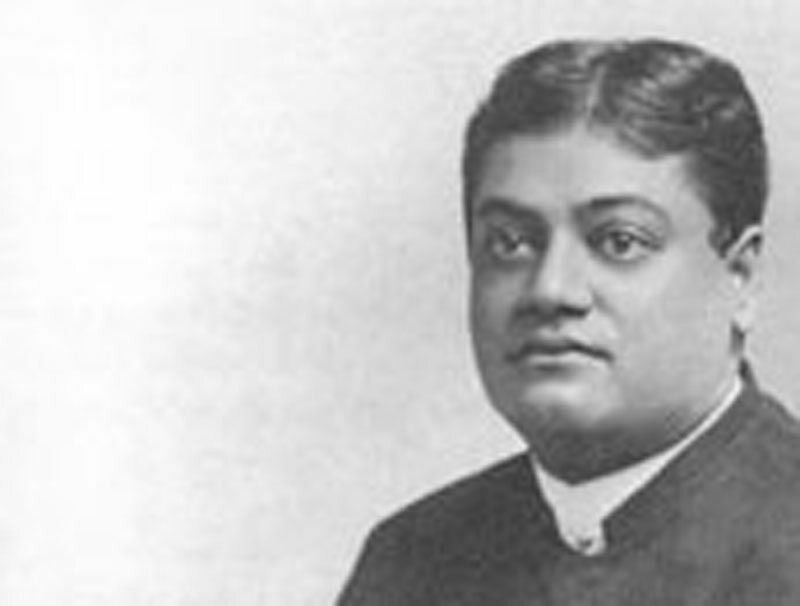 Those of you who have been attending my lectures for the last month or so must, by this time, be familiar with the ideas contained in the Vedanta philosophy. Vedanta is the most ancient religion of the world; but it can never be said to have become popular. Therefore the question "Is it going to be the religion of the future?" is very difficult to answer. At the start, I may tell you that I do not know whether it will ever be the religion of the vast majority of men. Will it ever be able to take hold of one whole nation such as the United States of America? Possibly it may. However, that is the question we want to discuss this afternoon. I shall begin by telling you what Vedanta is not, and then I shall tell you what it is. But you must remember that, with all its emphasis on impersonal principles, Vedanta is not antagonistic to anything, though it does not compromise or give up the truths which it considers fundamental. You all know that certain things are necessary to make a religion. First of all, there is the book. The power of the book is simply marvellous! Whatever it be, the book is the centre round which human allegiance gathers. Not one religion is living today but has a book. With all its rationalism and tall talk, humanity still clings to the books. In your country every attempt to start a religion without a book has failed. In India sects rise with great success, but within a few years they die down, because there is no book behind them. So in every other country. Study the rise and fall of the Unitarian movement. It represents the best thought of your nation. Why should it not have spread like the Methodist, Baptist, and other Christian denominations? Because there was no book. On the other hand, think of the Jews. A handful of men, driven from one country to another, still hold together, because they have a book. Think of the Parsees — only a hundred thousand in the world. About a million are all that remain of the Jains in India. And do you know that these handfuls of Parsees and Jains still keep on just because of their books? The religions that are living at the present day — every one of them has a book. The second requisite, to make a religion, is veneration for some person. He is worshipped either as the Lord of the world or as the great Teacher. Men must worship some embodied man! They must have the Incarnation or the prophet or the great leader. You find it in every religion today. Hindus and Christians — they have Incarnations: Buddhists, Mohammedans, and Jews have prophets. But it is all about the same — all their veneration twines round some person or persons. The third requisite seems to be that a religion, to be strong and sure of itself, must believe that it alone is the truth; otherwise it cannot influence people. Liberalism dies because it is dry, because it cannot rouse fanaticism in the human mind, because it cannot bring out hatred for everything except itself. That is why liberalism is bound to go down again and again. It can influence only small numbers of people. The reason is not hard to see. Liberalism tries to make us unselfish. But we do not want to be unselfish — we see no immediate gain in unselfishness; we gain more by being selfish. We accept liberalism as long as we are poor, have nothing. The moment we acquire money and power, we turn very conservative. The poor man is a democrat. When he becomes rich, he becomes an aristocrat. In religion, too, human nature acts in the same way. A prophet arises, promises all kinds of rewards to those who will follow him and eternal doom to those who will not. Thus he makes his ideas spread. All existent religions that are spreading are tremendously fanatic. The more a sect hates other sects, the greater is its success and the more people it draws into its fold. My conclusion, after travelling over a good part of the world and living with many races, and in view of the conditions prevailing in the world, is that the present state of things is going to continue, in spite of much talk of universal brotherhood. Vedanta does not believe in any of these teachings. First, it does not believe in a book — that is the difficulty to start with. It denies the authority of any book over any other book. It denies emphatically that any one book can contain all the truths about God, soul, the ultimate reality. Those of you who have read the Upanishads remember that they say again and again, "Not by the reading of books can we realise the Self." Second, it finds veneration for some particular person still more difficult to uphold. Those of you who are students of Vedanta — by Vedanta is always meant the Upanishads — know that this is the only religion that does not cling to any person. Not one man or woman has ever become the object of worship among the Vedantins. It cannot be. A man is no more worthy of worship than any bird, any worm. We are all brothers. The difference is only in degree. I am exactly the same as the lowest worm. You see how very little room there is in Vedanta for any man to stand ahead of us and for us to go and worship him — he dragging us on and we being saved by him. Vedanta does not give you that. No book, no man to worship, nothing. A still greater difficulty is about God. You want to be democratic in this country. It is the democratic God that Vedanta teaches. You have a government, but the government is impersonal. Yours is not an autocratic government, and yet it is more powerful than any monarchy in the world. Nobody seems to understand that the real power, the real life, the real strength is in the unseen, the impersonal, the nobody. As a mere person separated from others, you are nothing, but as an impersonal unit of the nation that rules itself, you are tremendous. You are all one in the government — you are a tremendous power. But where exactly is the power? Each man is the power. There is no king. I see everybody equally the same. I have not to take off my hat and bow low to anyone. Yet there is a tremendous power in each man. Vedanta is just that. Its God is not the monarch sitting on a throne, entirely apart. There are those who like their God that way — a God to be feared and propitiated. They burn candles and crawl in the dust before Him. They want a king to rule them — they believe in a king in heaven to rule them all. The king is gone from this country at least. Where is the king of heaven now? Just where the earthly king is. In this country the king has entered every one of you. You are all kings in this country. So with the religion of Vedanta. You are all Gods. One God is not sufficient. You are all Gods, says the Vedanta. This makes Vedanta very difficult. It does not teach the old idea of God at all. In place of that God who sat above the clouds and managed the affairs of the world without asking our permission, who created us out of nothing just because He liked it and made us undergo all this misery just because He liked it, Vedanta teaches the God that is in everyone, has become everyone and everything. His majesty the king has gone from this country; the Kingdom of Heaven went from Vedanta hundreds of years ago. India cannot give up his majesty the king of the earth — that is why Vedanta cannot become the religion of India. There is a chance of Vedanta becoming the religion of your country because of democracy. But it can become so only if you can and do clearly understand it, if you become real men and women, not people with vague ideas and superstitions in your brains, and if you want to be truly spiritual, since Vedanta is concerned only with spirituality. What is the idea of God in heaven? Materialism. The Vedantic idea is the infinite principle of God embodied in every one of us. God sitting up on a cloud! Think of the utter blasphemy of it! It is materialism — downright materialism. When babies think this way, it may be all right, but when grown-up men try to teach such things, it is downright disgusting — that is what it is. It is all matter, all body idea, the gross idea, the sense idea. Every bit of it is clay and nothing but clay. Is that religion? It is no more religion than is the Mumbo Jumbo "religion" of Africa. God is spirit and He should be worshipped in spirit and in truth. Does spirit live only in heaven? What is spirit? We are all spirit. Why is it we do not realise it? What makes you different from me? Body and nothing else. Forget the body, and all is spirit. These are what Vedanta has not to give. No book. No man to be singled out from the rest of mankind — "You are worms, and we are the Lord God!" — none of that. If you are the Lord God, I also am the Lord God. So Vedanta knows no sin. There are mistakes but no sin; and in the long run everything is going to be all right. No Satan — none of this nonsense. Vedanta believes in only one sin, only one in the world, and it is this: the moment you think you are a sinner or anybody is a sinner, that is sin. From that follows every other mistake or what is usually called sin. There have been many mistakes in our lives. But we are going on. Glory be unto us that we have made mistakes! Take a long look at your past life. If your present condition is good, it has been caused by all the past mistakes as well as successes. Glory be unto success! Glory be unto mistakes! Do not look back upon what has been done. Go ahead! You see, Vedanta proposes no sin nor sinner. No God to be afraid of. He is the one being of whom we shall never be afraid, because He is our own Self. There is only one being of whom you cannot possibly be afraid; He is that. Then is not he really the most superstitious person who has fear of God? There may be someone who is afraid of his shadow; but even he is not afraid of himself. God is man's very Self. He is that one being whom you can never possibly fear. What is all this nonsense, the fear of the Lord entering into a man, making him tremble and so on? Lord bless us that we are not all in the lunatic asylum! But if most of us are not lunatics, why should we invent such ideas as fear of God? Lord Buddha said that the whole human race is lunatic, more or less. It is perfectly true, it seems. No book, no person, no Personal God. All these must go. Again, the senses must go. We cannot be bound to the senses. At present we are tied down — like persons dying of cold in the glaciers. They feel such a strong desire to sleep, and when their friends try to wake them, warning them of death, they say, "Let me die, I want to sleep." We all cling to the little things of the senses, even if we are ruined thereby: we forget there are much greater things. People behave in the same way. Whenever they hear of the Impersonal God, they say, "What will become of my individuality? — my individuality will go!" Next time that thought comes, remember the pig, and then think what an infinite mine of happiness you have, each one of you. How pleased you are with your present condition! But when you realise what you truly are, you will be astonished that you were unwilling to give up your sense-life. What is there in your personality? It is any better than that pig life? And this you do not want to give up! Lord bless us all! What does Vedanta teach us? In the first place, it teaches that you need not even go out of yourself to know the truth. All the past and all the future are here in the present. No man ever saw the past. Did any one of you see the past? When you think you are knowing the past, you only imagine the past in the present moment. To see the future, you would have to bring it down to the present, which is the only reality — the rest is imagination. This present is all that is. There is only the One. All is here right now. One moment in infinite time is quite as complete and all-inclusive as every other moment. All that is and was and will be is here in the present. Let anybody try to imagine anything outside of it — he will not succeed. What religion can paint a heaven which is not like this earth? And it is all art, only this art is being made known to us gradually. We, with five senses, look upon this world and find it gross, having colour, form, sound, and the like. Suppose I develop an electric sense — all will change. Suppose my senses grow finer — you will all appear changed. If I change, you change. If I go beyond the power of the senses, you will appear as spirit and God. Things are not what they seem. We shall understand this by and by, and then see it: all the heavens — everything — are here, now, and they really are nothing but appearances on the Divine Presence. This Presence is much greater than all the earths and heavens. People think that this world is bad and imagine that heaven is somewhere else. This world is not bad. It is God Himself if you know it. It is a hard thing even to understand, harder than to believe. The murderer who is going to be hanged tomorrow is all God, perfect God. It is very hard to understand, surely; but it can be understood. Why can I not feel it? Because of that individuality, that piggishness. You have become bound up with this mind and can only be here, not there. What is immortality? How few reply, "It is this very existence of ours!" Most people think this is all mortal and dead — that God is not here, that they will become immortal by going to heaven. They imagine that they will see God after death. But if they do not see Him here and now, they will not see Him after death. Though they all believe in immortality, they do not know that immortality is not gained by dying and going to heaven, but by giving up this piggish individuality, by not tying ourselves down to one little body. Immortality is knowing ourselves as one with all, living in all bodies, perceiving through all minds. We are bound to feel in other bodies than this one. We are bound to feel in other bodies. What is sympathy? Is there any limit to this sympathy, this feeling in our bodies? It is quite possible that the time will come when I shall feel through the whole universe. What is the gain? The pig body is hard to give up; we are sorry to lose the enjoyment of our one little pig body! Vedanta does not say, "Give it up": it says, "Transcend it". No need of asceticism — better would be the enjoyment of two bodies, better three, living in more bodies than one! When I can enjoy through the whole universe, the whole universe is my body. There are many who feel horrified when they hear these teachings. They do not like to be told that they are not just little pig bodies, created by a tyrant God. I tell them, "Come up!" They say they are born in sin — they cannot come up except through someone's grace. I say, "You are Divine! They answer, "You blasphemer, how dare you speak so? How can a miserable creature be God? We are sinners!" I get very much discouraged at times, you know. Hundreds of men and women tell me, "If there is no hell, how can there be any religion?" If these people go to hell of their own will, who can prevent them? Whatever you dream and think of, you create. If it is hell, you die and see hell. If it is evil and Satan, you get a Satan. If ghosts, you get ghosts. Whatever you think, that you become. If you have to think, think good thoughts, great thoughts. This taking for granted that you are weak little worms! By declaring we are weak, we become weak, we do not become better. Suppose we put out the light, close the windows, and call the room dark. Think of the nonsense! What good does it do me to say I am a sinner? If I am in the dark, let me light a lamp. The whole thing is gone. Yet how curious is the nature of men! Though always conscious that the universal mind is behind their life, they think more of Satan, of darkness and lies. You tell them the truth — they do not see it; they like darkness better. This forms the one great question asked by Vedanta: Why are people so afraid? The answer is that they have made themselves helpless and dependent on others. We are so lazy, we do not want to do anything for ourselves. We want a Personal God, a saviour or a prophet to do everything for us. The very rich man never walks, always goes in the carriage; but in the course of years, he wakes up one day paralysed all over. Then he begins to feel that the way he had lived was not good after all. No man can walk for me. Every time one did, it was to my injury. If everything is done for a man by another, he will lose the use of his own limbs. Anything we do ourselves, that is the only thing we do. Anything that is done for us by another never can be ours. You cannot learn spiritual truths from my lectures. If you have learnt anything, I was only the spark that brought it out, made it flash. That is all the prophets and teachers can do. All this running after help is foolishness. You know, there are bullock carts in India. Usually two bulls are harnessed to a cart, and sometimes a sheaf of straw is dangled at the tip of the pole, a little in front of the animals but beyond their reach. The bulls try continually to feed upon the straw, but never succeed. This is exactly how we are helped! We think we are going to get security, strength, wisdom, happiness from the outside. We always hope but never realise our hope. Never does any help come from the outside. There is no help for man. None ever was, none is, and none will be. Why should there be? Are you not men and women? Are the lords of the earth to be helped by others? Are you not ashamed? You will be helped when you are reduced to dust. But you are spirit. Pull yourself out of difficulties by yourself! Save yourself by yourself! There is none to help you — never was. To think that there is, is sweet delusion. It comes to no good. There came a Christian to me once and said, "You are a terrible sinner." I answered, "Yes, I am. Go on." He was a Christian missionary. That man would not give me any rest. When I see him, I fly. He said, "I have very good things for you. You are a sinner and you are going to hell." I replied, "Very good, what else?" I asked him, "Where are you going?" "I am going to heaven", he answered. I said, "I will go to hell." That day he gave me up. Here comes a Christian man and he says, "You are all doomed; but if you believe in this doctrine, Christ will help you out." If this were true — but of course it is nothing but superstition — there would be no wickedness in the Christian countries. Let us believe in it — believing costs nothing — but why is there no result? If I ask, "Why is it that there are so many wicked people?" they say, "We have to work more." Trust in God, but keep your powder dry! Pray to God, and let God come and help you out! But it is I who struggle, pray, and worship; it is I who work out my problems — and God takes the credit. This is not good. I never do it. Once I was invited to a dinner. The hostess asked me to say grace. I said, "I will say grace to you, madam. My grace and thanks are to you." When I work, I say grace to myself. Praise be unto me that I worked hard and acquired what I have! All the time you work hard and bless somebody else, because you are superstitious, you are afraid. No more of these superstitions bred through thousands of years! It takes a little hard work to become spiritual. Superstitions are all materialism, because they are all based on the consciousness of body, body, body. No spirit there. Spirit has no superstitions — it is beyond the vain desires of the body. But here and there these vain desires are being projected even into the realm of the spirit. I have attended several spiritualistic meetings. In one, the leader was a woman. She said to me, "Your mother and grandfather came to me" She said that they greeted her and talked to her. But my mother is living yet! People like to think that even after death their relatives continue to exist in the same bodies, and the spiritualists play on their superstitions. I would be very sorry to know that my dead father is still wearing his filthy body. People get consolation from this, that their fathers are all encased in matter. In another place they brought me Jesus Christ. I said, "Lord, how do you do?" It makes me feel hopeless. If that great saintly man is still wearing the body, what is to become of us poor creatures? The spiritualists did not allow me to touch any of those gentlemen. Even if these were real, I would not want them. I think, "Mother, Mother! atheists — that is what people really are! Just the desire for these five senses! Not satisfied with what they have here, they want more of the same when they die!" What is the God of Vedanta? He is principle, not person. You and I are all Personal Gods. The absolute God of the universe, the creator, preserver, and destroyer of the universe, is impersonal principle. You and I, the cat, rat, devil, and ghost, all these are Its persons — all are Personal Gods. You want to worship Personal Gods. It is the worship of your own self. If you take my advice, you will never enter any church. Come out and go and wash off. Wash yourself again and again until you are cleansed of all the superstitions that have clung to you through the ages. Or, perhaps, you do not like to do so, since you do not wash yourself so often in this country — frequent washing is an Indian custom, not a custom of your society. I have been asked many times, "Why do you laugh so much and make so many jokes?" I become serious sometimes — when I have stomach — ache! The Lord is all blissfulness. He is the reality behind all that exists, He is the goodness, the truth in everything. You are His incarnations. That is what is glorious. The nearer you are to Him, the less you will have occasions to cry or weep. The further we are from Him, the more will long faces come. The more we know of Him, the more misery vanishes. If one who lives in the Lord becomes miserable, what is the use of living in Him? What is the use of such a God? Throw Him overboard into the Pacific Ocean! We do not want Him! But God is the infinite, impersonal being — ever existent, unchanging, immortal, fearless; and you are all His incarnations, His embodiments. This is the God of Vedanta, and His heaven is everywhere. In this heaven dwell all the Personal Gods there are-you yourselves. Exit praying and laying flowers in the temples! What do you pray for? To go to heaven, to get something, and let somebody else not have it. "Lord, I want more food! Let somebody else starve!" What an idea of God who is the reality, the infinite, ever blessed existence in which there is neither part nor flaw, who is ever free, ever pure, ever perfect! We attribute to Him all our human characteristics, functions, and limitations. He must bring us food and give us clothes. As a matter of fact we have to do all these things ourselves and nobody else ever did them for us. That is the plain truth. But you rarely think of this. You imagine there is God of whom you are special favourites, who does things for you when you ask Him; and you do not ask of Him favours for all men, all beings, but only for yourself, your own family, your own people. When the Hindu is starving, you do not care; at that time you do not think that the God of the Christians is also the God of the Hindus. Our whole idea of God, our praying, our worshipping, all are vitiated by our ignorance, our foolish idea of ourselves as body. You may not like what I am saying. You may curse me today, but tomorrow you will bless me. We must become thinkers. Every birth is painful. We must get out of materialism. My Mother would not let us get out of Her clutches; nevertheless we must try. This struggle is all the worship there is; all the rest is mere shadow. You are the Personal God. Just now I am worshipping you. This is the greatest prayer. Worship the whole world in that sense — by serving it. This standing on a high platform, I know, does not appear like worship. But if it is service, it is worship. The infinite truth is never to be acquired. It is here all the time, undying and unborn. He, the Lord of the universe, is in every one. There is but one temple — the body. It is the only temple that ever existed. In this body, He resides, the Lord of souls and the King of kings. We do not see that, so we make stone images of Him and build temples over them. Vedanta has been in India always, but India is full of these temples — and not only temples, but also caves containing carved images. "The fool, dwelling on the bank of the Gangâ, digs a well for water!" Such are we! Living in the midst of God — we must go and make images. We project Him in the form of the image, while all the time He exists in the temple of our body. We are lunatics, and this is the great delusion. Worship everything as God — every form is His temple. All else is delusion. Always look within, never without. Such is the God that Vedanta preaches, and such is His worship. Naturally there is no sect, no creed, no caste in Vedanta. How can this religion be the national religion of India? Hundreds of castes! If one man touches another man's food, he cries out, "Lord help me, I am polluted!" When I returned to India after my visit to the West, several orthodox Hindus raised a howl against my association with the Western people and my breaking the rules of orthodoxy. They did not like me to teach the truths of the Vedas to the people of the West. But how can there be these distinctions and differences? How can the rich man turn up his nose at the poor man, and the learned at the ignorant, if we are all spirit and all the same? Unless society changes, how can such a religion as Vedanta prevail? It will take thousands of years to have large numbers of truly rational human beings. It is very hard to show men new things, to give them great ideas. It is harder still to knock off old superstitions, very hard; they do not die easily. With all his education, even the learned man becomes frightened in the dark — the nursery tales come into his mind, and he see ghosts. The meaning of the word "Veda", from which the word "Vedanta" comes, is knowledge. All knowledge is Veda, infinite as God is infinite. Nobody ever creates knowledge. Did you ever see knowledge created? It is only discovered — what was covered is uncovered. It is always here, because it is God Himself. Past, present, and future knowledge, all exist in all of us. We discover it, that is all. All this knowledge is God Himself. The Vedas are a great Sanskrit book. In our country we go down on our knees before the man who reads the Vedas, and we do not care for the man who is studying physics. That is superstition; it is not Vedanta at all. It is utter materialism. With God every knowledge is sacred. Knowledge is God. Infinite knowledge abides within every one in the fullest measure. You are not really ignorant, though you may appear to be so. You are incarnations of God, all of you. You are incarnations of the Almighty, Omnipresent, Divine Principle. You may laugh at me now, but the time will come when you will understand. You must. Nobody will be left behind. What is the goal? This that I have spoken of — Vedanta — is not a new religion. So old — as old as God Himself. It is not confined to any time and place, it is everywhere. Everybody knows this truth. We are all working it out. The goal of the whole universe is that. This applies even to external nature — every atom is rushing towards that goal. And do you think that any of the infinite pure souls are left without knowledge of the supreme truth? All have it, all are going to the same goal — the discovery of the innate Divinity. The maniac, the murderer, the superstitious man, the man who is lynched in this country — all are travelling to the same goal. Only that which we do ignorantly we ought to do knowingly, and better. The unity of all existence — you all have it already within yourselves. None was ever born without it. However you may deny it, it continually asserts itself. What is human love? It is more or less an affirmation of that unity: "I am one with thee, my wife, my child, my friend!" Only you are affirming the unity ignorantly. "None ever loved the husband for the husband's sake, but for the sake of the Self that is in the husband." The wife finds unity there. The husband sees himself in the wife — instinctively he does it, but he cannot do it knowingly, consciously. The whole universe is one existence. There cannot be anything else. Out of diversities we are all going towards this universal existence. Families into tribes, tribes into races, races into nations, nations into humanity-how many wills going to the One! It is all knowledge, all science — the realisation of this unity. Unity is knowledge, diversity is ignorance. This knowledge is your birthright. I have not to teach it to you. There never were different religions in the world. We are all destined to have salvation, whether we will it or not. You have to attain it in the long run and become free, because it is your nature to be free. We are already free, only we do not know it, and we do not know what we have been doing. Throughout all religious systems and ideals is the same morality; one thing only is preached: "Be unselfish, love others." One says, "Because Jehovah commanded." "Allah," shouted Mohammed. Another cries, "Jesus". If it was only the command of Jehovah, how could it come to those who never knew Jehovah? If it was Jesus alone who gave this command, how could any one who never knew Jesus get it? If only Vishnu, how could the Jews get it, who never were acquainted with that gentleman? There is another source, greater than all of them. Where is it? In the eternal temple of God, in the souls of all beings from the lowest to the highest. It is there — that infinite unselfishness, infinite sacrifice, infinite compulsion to go back to unity. We have seemingly been divided, limited, because of our ignorance; and we have become as it were the little Mrs. so-and-so and Mr. so-and-so. But all nature is giving this delusion the lie every moment. I am not that little man or little woman cut off from all else; I am the one universal existence. The soul in its own majesty is rising up every moment and declaring its own intrinsic Divinity. This Vedanta is everywhere, only you must become conscious of it. These masses of foolish beliefs and superstitions hinder us in our progress. If we can, let us throw them off and understand that God is spirit to be worshipped in spirit and in truth. Try to be materialists no more! Throw away all matter! The conception of God must be truly spiritual. All the different ideas of God, which are more or less materialistic, must go. As man becomes more and more spiritual, he has to throw off all these ideas and leave them behind. As a matter of fact, in every country there have always been a few who have been strong enough to throw away all matter and stand out in the shining light, worshipping the spirit by the spirit. If Vedanta — this conscious knowledge that all is one spirit — spreads, the whole of humanity will become spiritual. But is it possible? I do not know. Not within thousands of years. The old superstitions must run out. You are all interested in how to perpetuate all your superstitions. Then there are the ideas of the family brother, the caste brother, the national brother. All these are barriers to the realisation of Vedanta. Religion has been religion to very few. Most of those who have worked in the field of religion all over the world have really been political workers. That has been the history of human beings. They have rarely tried to live up uncompromisingly to the truth. They have always worshipped the god called society; they have been mostly concerned with upholding what the masses believe — their superstitions, their weakness. They do not try to conquer nature but to fit into nature, nothing else. God to India and preach a new creed — they will not listen to it. But if you tell them it is from the Vedas — "That is good!" they will say. Here I can preach this doctrine, and you — how many of you take me seriously? But the truth is all here, and I must tell you the truth. There is another side to the question. Everyone says that the highest, the pure, truth cannot be realised all at once by all, that men have to be led to it gradually through worship, prayer, and other kinds of prevalent religious practices. I am not sure whether that is the right method or not. In India I work both ways. In Calcutta, I have all these images and temples — in the name of God and the Vedas, of the Bible and Christ and Buddha. Let it be tried. But on the heights of the Himalayas I have a place where I am determined nothing shall enter except pure truth. There I want to work out this idea about which I have spoken to you today. There are an Englishman and an Englishwoman in charge of the place. The purpose is to train seekers of truth and to bring up children without fear and without superstition. They shall not hear about Christs and Buddhas and Shivas and Vishnus — none of these. They shall learn, from the start, to stand upon their own feet. They shall learn from their childhood that God is the spirit and should be worshipped in spirit and in truth. Everyone must be looked upon as spirit. That is the ideal. I do not know what success will come of it. Today I am preaching the thing I like. I wish I had been brought up entirely on that, without all the dualistic superstitions. Sometimes I agree that there is some good in the dualistic method: it helps many who are weak. If a man wants you to show him the polar star, you first point out to him a bright star near it, then a less bright star, then a dim star, and then the polar star. This process makes it easy for him to see it. All the various practices and trainings, Bibles and Gods, are but the rudiments of religion, the kindergartens of religion. But then I think of the other side. How long will the world have to wait to reach the truth if it follows this slow, gradual process? How long? And where is the surety that it will ever succeed to any appreciable degree? It has not so far. After all, gradual or not gradual, easy or not easy to the weak, is not the dualistic method based on falsehood? Are not all the prevalent religious practices often weakening and therefore wrong? They are based on a wrong idea, a wrong view of man. Would two wrong make one right? Would the lie become truth? Would darkness become light? I am the servant of a man who has passed away. I am only the messenger. I want to make the experiment. The teachings of Vedanta I have told you about were never really experimented with before. Although Vedanta is the oldest philosophy in the world, it has always become mixed up with superstitions and everything else. Christ said, "I and my father are one", and you repeat it. Yet it has not helped mankind. For nineteen hundred years men have not understood that saying. They make Christ the saviour of men. He is God and we are worms! Similarly in India. In every country, this sort of belief is the backbone of every sect. For thousands of years millions and millions all over the world have been taught to worship the Lord of the world, the Incarnations, the saviours, the prophets. They have been taught to consider themselves helpless, miserable creatures and to depend upon the mercy of some person or persons for salvation. There are no doubt many marvellous things in such beliefs. But even at their best, they are but kindergartens of religion, and they have helped but little. Men are still hypnotised into abject degradation. However, there are some strong souls who get over that illusion. The hour comes when great men shall arise and cast off these kindergartens of religion and shall make vivid and powerful the true religion, the worship of the spirit by the spirit.